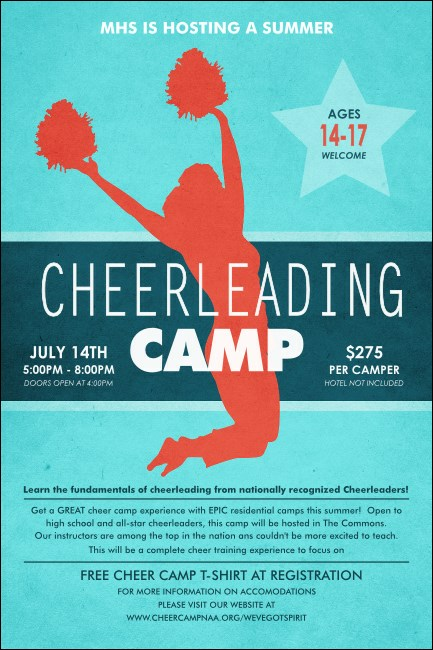 Make a pre-event advertising leap toward great ticket sales when you advertise in advance with Cheerleading Jump Posters. These baby blue beauties feature the image of a cheerleader posing in mid-cheer with pom poms raised high over her head. Each Poster gives you room to customize twenty-one lines of text for all your event details. Forget the props and advertise with TicketPrinting.com.